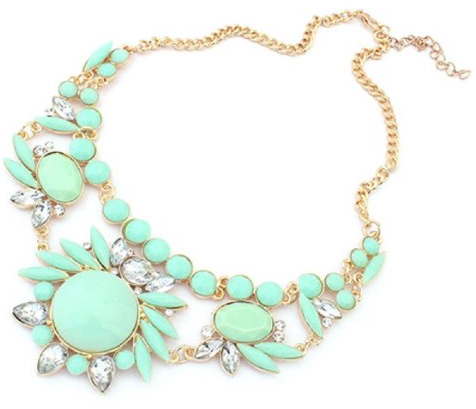 Rhinestone Flower Collar Necklace Only $4.29 Shipped! You are here: Home / Great Deals / Amazon Deals / Rhinestone Flower Collar Necklace Only $4.29 Shipped! Mint is really trendy right now so make sure you complete your outfits with this Rhinestone Flower Collar Necklace that is Only $4.29 Shipped! This will be a conversation starter and make any simple outfit really look amazing! Get yours NOW!